I’ve been intrigued how Withings might change since their split from Nokia. At Gear Diary, we’ve been fans of the brand for years! 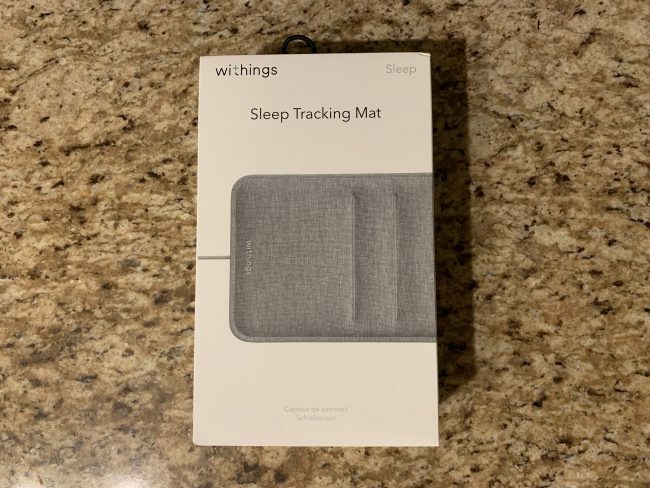 So I jumped at the chance to review the Withings Sleep, the company’s newest sleep tracking pad. I was curious if the pad would help me focus on getting and maintaining proper sleeping patterns. The Withings Sleep is a sleep cycle analysis pad designed to give you a better night’s rest. The Withings Sleep is a rectangular pad that you place underneath your mattress that communicates with the Withings Health Mate app to give you a full idea of how good or bad you’ve been sleeping. 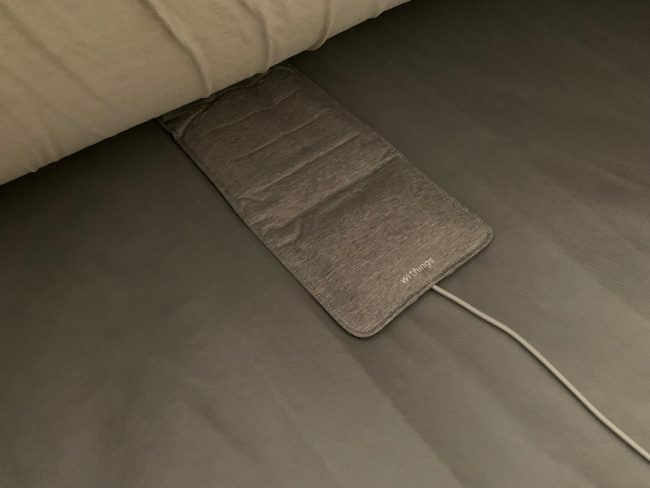 Withings suggest situating the pad at chest level under your mattress, plugging it into an outlet, and connecting it to the companion app. There’s obviously a few steps to follow such as creating an account, and answering a few preliminary questions, but once connected to Wi-Fi, it calibrates and is ready to monitor your sleep. Prior to using the Withings Sleep, I would use various “sleeping” Apple Watch apps that would monitor my sleep. The problem — not many were accurate, and I hate wearing a watch to bed. With the Withings Sleep, I can now comfortably dock my phone and my Watch, and it allows me to sleep with no frills. The mat itself is fully integrated with IFTT (If This Then That) which allows you to do things such as create shortcuts like turning your lights on, starting up your coffee, or turning your thermostat up or down. 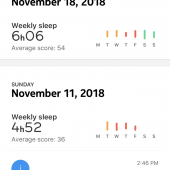 As far as sleep, in the last three months, the Withings not only automatically calibrated itself over time, but allows me to see details such as how long I’ve been sleeping, when I’ve been snoring (I still don’t believe I snore, and you can’t tell me otherwise), and even intervals in which I had a deep or light sleep. 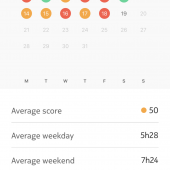 Using the Withings Sleep has made me figure out that I tend to have BETTER sleep typically on Thursdays for some odd reason. More importantly, I can track the average hour of when I get to bed, and how long it takes me to finally catch some Zs. 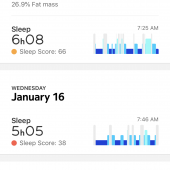 What’s worth mentioning is since Withings has their brand back, they seem to be even more driven with their devices in terms of firmware updates, expanding the “Sleep Smarter” functionalities, giving you data over time that suggests a program to follow to develop better sleeping patterns and more. One glaring negative for me is I’m not the hugest fan of having my bed “wired”. I get that it’s a first world problem that’s self-created and can be avoided, but something about having a cable sticking out of my mattress makes me concerned about durability, but Withings has assured me that the cable won’t fray over time, and it is safe to lie on for years to come. Outside of that, I can’t say there’s a bad thing about the Withings Sleep since I’ve been using it. Not only am I more conscious of when I should be in bed, but also how long it’s going to take me to get proper sleep so I won’t walk around the next day tired. 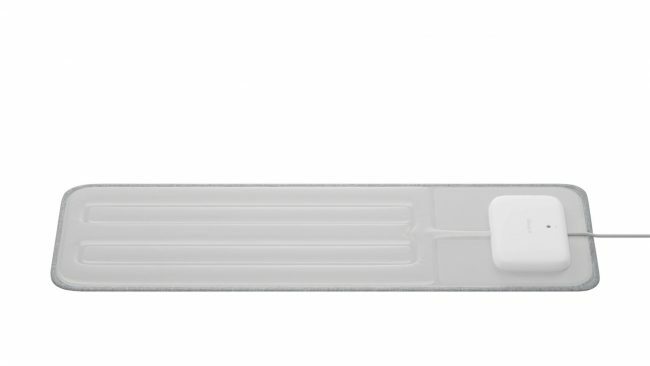 If you are interested in learning more or purchasing a Withings Sleep, head over to their site. What Needs Improvement: It’s not much they can improve to the cable, but maybe a rechargeable internal battery?